The engine with its 8 hp and good torque forgives driving mistakes and is therefore perfect for the youngest to gain their first experiences in karting. Launched in 2007 and recommended for kids from 8-10 years. Only the fuel capacity will stop you from continuing karting. 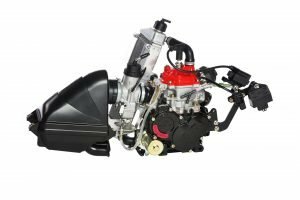 This engine is the logical next step after the 125 Micro MAX engine with increased performance to 15. hp. It is perfect for kids with some karting experience. Launched in 2004 and designed for drivers from 10-13 years. More performance and perfect for juniors with karting experience. With the 125 Junior MAX engine, you can have your first international racing experience. Launched in 2000 and recommended for teenagers from 13-16 years. The chainless drive concept is combined with a 2-speed gearbox operated by means of shift paddles directly from the steering wheel. Ideal for drives aged 15 years and older* with know-how in kart racing, the engine is the closest to Formula car racing. Launched in 2002, the revolutionary engine gave rise to the development of chassis by all leading manufacturers. 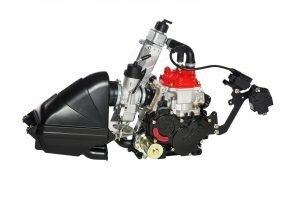 The engine with its 6.8 hp and good torque forgives driving mistakes and is therefore perfect for the youngest to gain their first experiences in karting. Launched in 2007 and recommended for kids from 8-10 years. Only the fuel capacity will stop you from continuing karting. 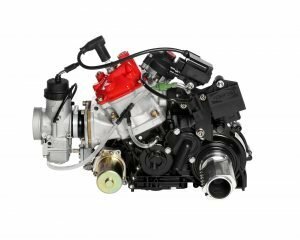 This engine is the logical next step after the 125 Micro MAX engine with increased performance to 13.6 hp. It is perfect for kids with some karting experience. Launched in 2004 and designed for drivers from 10-13 years.